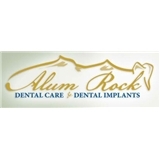 Alum Rock Dental Care and Dental Implants (San Jose) - Book Appointment Online! Dr. Sheila Villano has 20+ years experience . She is currently accepting new patients at Alum Rock Dental. She handles everyday dental issues as well as complex cosmetic procedures. With years of experience Dr. Villano is the right choice for your dental care needs. Her friendly staff will make you feel welcome and at ease. She accepts most dental insurance plan. Her office offers special rates for seniors, students and no insurance patients. Please click to book an appointment with her today.